Here are some snazzy birthday facts about 17th of June 1943 that no one tells you about. Don’t wait a minute longer and jump in using the content links below. Average read time of 10 minutes. Enjoy! What day was my birthday Jun 17, 1943? June 17, 1943 was a Thursday and it was the 168th day of the year 1943. It was the 24th Thursday of that year. The next time you can reuse your old 1943 calendar will be in 2021. Both calendars will be exactly the same! This is assuming you are not interested in the dates for Easter and other irregular holidays that are based on a lunisolar calendar. There are 57 days left before your next birthday. You will be 76 years old when that day comes. There have been 27,702 days from the day you were born up to today. If you’ve been sleeping 8 hours daily since birth, then you have slept a total of 9,234 days or 25.28 years. You spent 33% of your life sleeping. Since night and day always follow each other, there were precisely 939 full moons after you were born up to this day. How many of them did you see? The next full moon that you can see will be on May 18 at 21:13:00 GMT – Saturday. Fun stat: Your first one billion seconds (1,000,000,000) happened sometime on February 23, 1975. If a dog named Chai - a Staffordshire Bull Terrier breed, was born on the same date as you then it will be 320 dog years old today. A dog’s first human year is equal to 15 dog years. Dogs age differently depending on breed and size. When you reach the age of 6 Chai will be 40 dog years old. From that point forward a small-sized dog like Chai will age 4 dog years for every human year. Cúcuta, Colombia, is discovered by Juana Rangel de Cuéllar. American Revolutionary War: Colonists inflict heavy casualties on British forces while losing the Battle of Bunker Hill. American Civil War: Battle of Vienna, Virginia. Bonus Army: Around a thousand World War I veterans amass at the United States Capitol as the U.S. Senate considers a bill that would give them certain benefits. The three Baltic states of Estonia, Latvia and Lithuania fall under the occupation of the Soviet Union. The Nez Perce tribe is awarded $4 million for 7 e6acre of land undervalued at four cents/acre in the 1863 treaty. The United States Supreme Court rules 8–1 in Abington School District v. Schempp against requiring the reciting of Bible verses and the Lord’s Prayer in public schools. STS-51-G Space Shuttle Discovery launches carrying Sultan bin Salman bin Abdulaziz Al Saud, the first Arab and first Muslim in space, as a Payload Specialist. What does my birthday June 17, 1943 mean? Your birthday numbers 6, 17, and 1943 reveal that your Life Path number is 22. It is a master number that represents practical idealism and material mastery. You were born under the most powerful and potentially the most successful of all Life Path numbers. The following celebrities also have the same life path number: Michael Cacoyannis, Victory Tischler-Blue, Ryo Kimura, Jessica Nigri, Kimberly Peirce, Andre Nickatina, Patrice Chéreau, Mallu Magalhães, Walt Becker, Taeyang. What is the birthday horoscope for Jun 17, 1943? The Western zodiac or sun sign of a person born on June 17 is Gemini ♊ (The Twins) – a mutable sign with Air as Western element. The ruling planet is Mercury – the planet of communication. According to the ancient art of Chinese astrology (or Eastern zodiac), Sheep is the mythical animal and Water is the Eastern element of a person born on June 17, 1943. 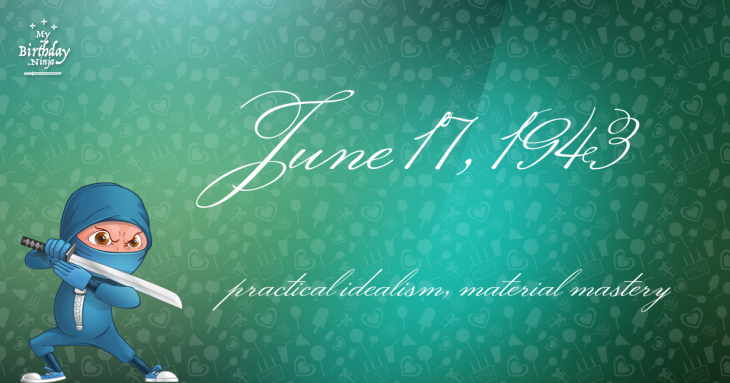 Fun fact: The birth flower for 17th June 1943 is Rose for devotion. What is the Love Match for Jun 17, 1943? When it comes to love and relationship, you are most compatible with a person born on April 2, 1916. You have a Love Match compatibility score of +154. Imagine being in love with your soul mate. On the negative side, you are most incompatible with a person born on August 29, 1935. Your incompatibility score is -147. You’ll be like a cat and a dog on a love-hate relationship. Arf-arf, I want to bite you. Meow-meow, stay away from me! What is the popular baby name on 17 Jun 1943? Here’s a quick list of all the fun birthday facts about June 17, 1943. Celebrities, famous birthdays, historical events, and past life were excluded. 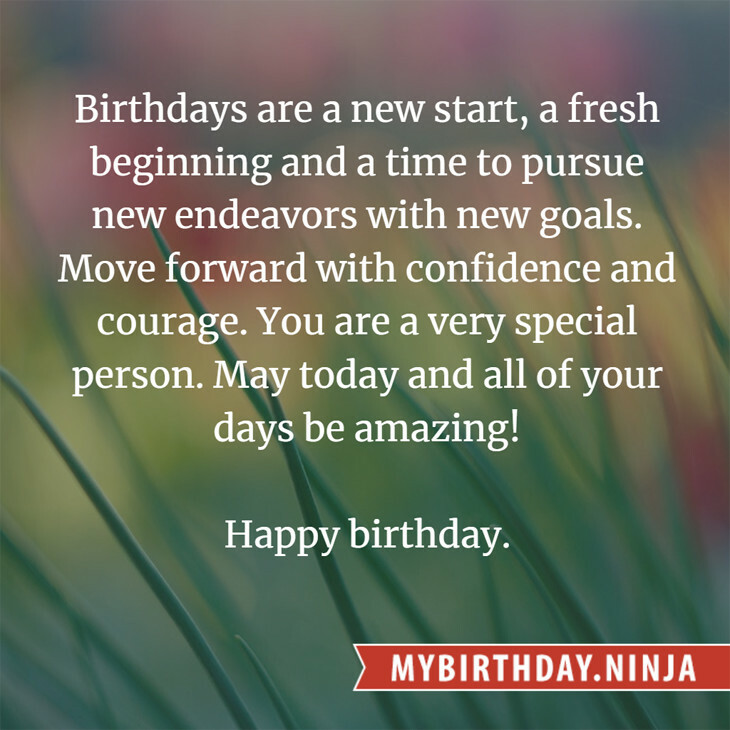 Try another birth date of someone you know or try the birthday of these celebrities: June 7, 1970 – Helen Baxendale, English actress and producer; December 23, 1993 – Ruriko Kojima, Japanese model and sportscaster; December 4, 1979 – Ysabella Brave, American singer-songwriter.